Ed. 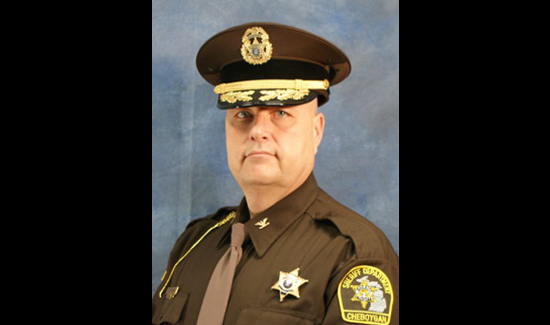 Note: In keeping with our tradition of being a forum for members of the law enforcement community to share their views on the topics of the day, we present this op-ed piece written by Tim Cook, Undersheriff, Cheboygan County, Michigan Sheriffs Department. I am not buying the rhetoric we’ve been hearing lately about law enforcement. On one hand, you have administrators in law enforcement and others who believe the answer is officers should have more training and back away if the situation gets hostile. These are simple solutions that don’t solve the problems and they weaken our duty to serve and protect. We also hear people, including some of our own leaders, accusing officers who use deadly force as racists way before the evidence is available and we have a true understanding of the situation. Instead of finding common ground this just adds fuel to the fire. These days the blame is too often blamed on the officer, which is wrong. Of course, law enforcement has serious issues, as does every facet of life and profession. There is good and bad in this world, but too many are rushing to judgment about the actions of law enforcement before they know the facts or have been able to view the evidence. It sickens me to know that we have young black men killing themselves at a rate higher than those who are killed in the military fighting in a war. It sickens me that we have Al Sharptons out there who cause strife and racial tension with the sole purpose of getting on television and making money. And what about media coverage in the black communities? Why do the reporters blame society and the police for all the problems? Why doesn’t the media focus on trying to come up with solutions rather than blaming us? We will be researching body cameras for our department, but I will tell you this: I will not question my officers’ integrity, and I will not spy on my officers. Somehow, we have become an “entitlement society,” where people feel free to file lawsuits, blame the other guy, and not take responsibility for their own actions. This behavior has been encouraged by too many of our politicians who are looking for an easy way to ease tensions. The result? Our officers are being put through the ringer. We encourage unjust lawsuits that we settle because it costs too much to fight them, and we have way too many of our officers getting indicted for just doing their job. The bottom line is, yes, police officers should constantly train and always strive to do our jobs with pride and professionalism. We should communicate and work together, not only with community leaders but also leaders in the neighborhoods we protect so together we can fight evil, reduce crime, and make sure everyone is safe and secure. Instead of condemning our police forces, we need to stand behind them. We have to realize that when anyone is approached by a law enforcement officer they need to do what is asked of them. During the events of the past year, not once did I hear any reporter raise this point. I tell all my officers they need to go home after their shift alive, not in a box, and they should not have to worry about getting indicted for doing their jobs. I glad to see some commanders still thank this way. Sorry to say many have given in or have been forced (by their bosses) to the P.C. crowd. I am bless I work for one of those Great Chiefs that has not given in nor has our mayor od Director of Public Safety. Well written and expressed Deputy Cook! Law-abiding citizens have nothing to worry about except the criminal element. Thank you for your work as a LE officer. As the mother of 2 officers, I so appreciate this article! It scares the tar out of me that my boys can be used for target practice, but any attempt to defend themselves or others makes them the bad guy. My daughter in law had a protest march pass her building, chanting “F**k the cops, kill the cops” as my son donned his uniform for work. I can only be grateful that he was on night shift and his sons didn’t have to hear that. Thank you for this article. You could not have put it better terms sir. We need more level headed upper management such as your self. To all LEO’s, keep up your hard work and stay safe. Thank you! So very true. Thank you for all your service. Very good article. The truth in every way. 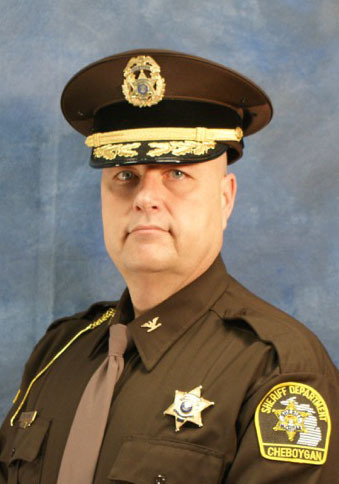 As a retired MO trooper (32 years) I agree with the Chief. Unfortunately in recent months actions in the St Louis area has highlighted the political BS that has gripped two in name only leaders in the L E enforcement arena. One I know personally and can say I am utterly disgusted by his self serving actions towards officers while trying to make a rep for himself to further his ambitions. Thank God his is preparing to retire without causing any serious physical injury/or worse to any LEOs. The other leDers ambition to become a mayor is evident at the expense of a good dept. Unfortunately for his dept he has no plans to retire. The good side is that both depts have a great wealth of talent that will hopefully rectify the harm that has been done.